Indian film composer and singer who shot to worldwide fame with his debut single “Why This Kolaveri Di”, which grossed more than 100 million views on YouTube. Since the success of that song, Anirudh has given a number of chart-busting tracks that easily garner millions of views. The young sensational artist has been voted the Most Desirable Man 2017 in a poll conducted by Chennai Times and he is the first musician to achieve that feat. Anirudh Ravichander was born on 16 October 1990, in Chennai, Tamil Nadu, India. He’s currently 28 years old. He’s is of Tamil ancestry. Anirudh attended Padma Seshadri Bala Bhavan, K.K. Nagar and later earned a B.Com degree from Loyola College, Chennai in 2011. He learnt piano from Trinity College of Music, London and attended Soundtech Media Institute of Audio Technology, Chennai for his sound engineering diploma. Anirudh Ravichander previously dated actress, Andrea Jeremiah who was 5 years senior to him. The duo got split after a lip-lock photo of them was circulated on the internet which sparkled controversy. His body specs like chest, biceps and waist are unavailable at this time. As a film composer, Anirudh made his debut in the 2011 Tamil romantic thriller film ‘3’ starring Dhanush and Shruti Haasan. He debuted as a playback singer with the film ‘3’ in the song “Come on Girls” and has since rendered his voice for numerous hit numbers. He has guest appeared in Tamil films as well. 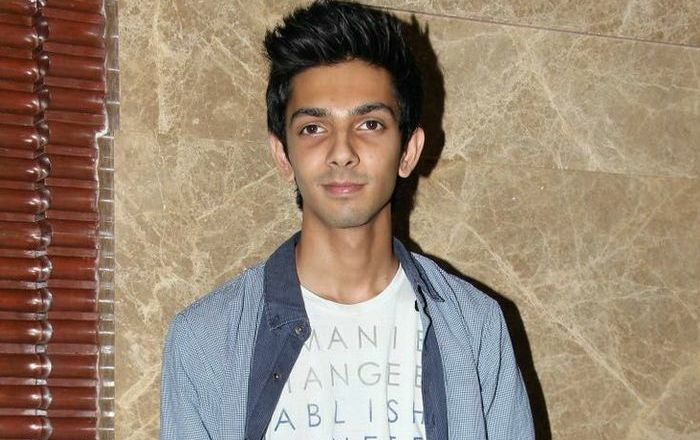 In addition to films, Anirudh has released a number of music videos in Tamil, Telugu, Hindi and English. His first music video titled “Ai Dil Mere” was released in 2012. During his school years, he participated in a TV show Ooh La La La along with his carnatic fusion band Zinx that had AR Rahman as its judge. His band won the competition and he was awarded the Best Instrumentalist from his idol, Rahman himself. There’s not much known details about his endorsement deals. Unfortunately, we do not have any information on Anirudh’s net worth at this time. Growing up, Anirudh developed an interest in music and took music lessons when he was 10 years. He was a part of his school band. He also learnt Carnatic music, and was part of a Carnatic fusion band. Anirudh Ravichander was introduced to the film industry by his cousin Aishwarya R. Dhanush in her directorial debut 3, and he was just 21 when he composed the worldwide hit track “Why This Kolaveri Di”. In 2011, Government of India honored him as the Best Indian of the Year for his work in the film 3. He has won 7 South Indian International Movie Awards and a Filmfare Awards South. Anirudh has signed a record deal with music giant Sony Music, which will be publishing his independent albums and live concerts. In 2017, he was awarded the Social Media Icon award at the Global Mobile Apps Summit & Awards. In February 2018, he launched a restaurant called Summer House Eatery in Chennai.